This B listed estate structure of Colebrooke Park was built by Dublin architect William Farrell c1830 as part of the Colebrooke Estate. The gate lodge and nearby Triumphal arch were designed to complement the great house and create an impressive approach to the estate. 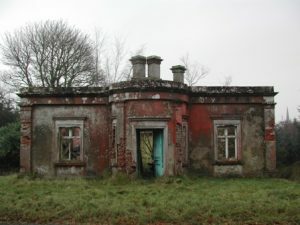 The building featured in the first Buildings at Risk catalogue in 1993, vacant, neglected and in a ruinous state. The estate has a long history dating back to the 1640s and the estate has remained in the hands of the Brooke family ever since. 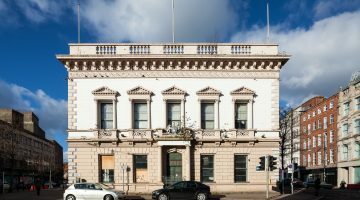 The property is currently under the ownership of the Viscount Brookeborough who reached an agreement with the Irish Landmark Trust under a 50 years lease to secure its future and bring the redundant building back into use. 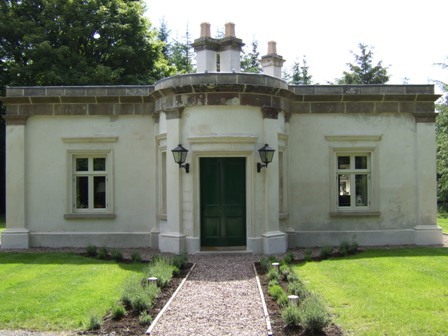 The Irish Landmark Trust completed the conversion of the gate lodge in 2009 into self–catering holding accommodation. The project demonstrates the combined vision of the Trust, the willingness of the owners to grant works and the art of the possible– as some may have thought its ruinous crumbling shell was once past the point of being rescued. Heritage Lottery Fund and NIEA Listed Building Grant Aid.